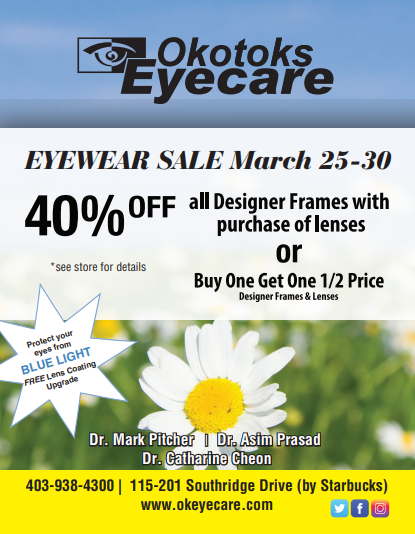 Visit Our Eye Care Centre in Okotoks, AB With Your Prescription Today! In addition to the correct lens power, the lenses need to be perfectly aligned in front of your eyes. Achieving ideal ocular alignment requires the correct frame selection and accurate lens measurements within the frame. Only licenced opticians and optometric assistants are capable of performing these tasks well. Prior to receiving your new glasses, they are analyzed by qualified staff to ensure that your lenses and frames have been made, measured and assembled accurately. Ask us about our warranties on coatings and lenses! Click here to learn about Children Eyewear Packages we offer.